This blog post was coauthored with my research associate, Amelia M. Wolf. Estimates released today by the Syrian Observatory for Human Rights (SOHR) portray a different picture of the civil war in Syria than U.S. policymakers and media convey. SOHR’s estimated death toll reinforces the point made in an article published on ForeignPolicy.com in September 2013, when they last released updated data: most of the reported deaths in Syria have not been committed by forces under Bashar al-Assad’s command. Additionally, the involvement of various individuals and groups in the conflict has broadened greatly since SOHR’s September 2013 estimate. Despite the potential bias and the methodological challenges it faces, SOHR has unrelentingly compiled casualty data since the start of the conflict in Syria more than three years ago. While the United Nations (UN) last updated its estimated death toll in July 2013 at 100,000 killed, and has since stated it will no longer provide updates, SOHR’s update released today estimates a total of 150,344 people killed since March 2011. SOHR’s estimates are presented below. There are two noticeably provocative elements of SOHR’s estimates. First, while estimates for rebel force casualties were a separate category in SOHR’s previous estimates, SOHR has now included rebel force casualties (24,275) within civilian casualties, totaling 75,487. Above, rebel forces have been listed separately, which reveals that, according to SOHR’s estimates, more pro-regime forces than civilians have been killed during the Syrian civil war. This does not lessen the severity of the conflict’s tremendous impact on civilians. Moreover, SOHR’s estimates are subject to error. While SOHR estimates that about 7, 985 children have died, other organizations such as the Oxford Research Group have much higher estimates over 11,000. Additionally, the conflict has resulted in at least 2.5 million Syrian refugees, according to the UN Refugee Agency. However, there has been a common misconception during the past two decades leading many to believe that about 90 percent of war victims are civilians, a claim made in Uppsala University’s 1991 report, “Casualties of Conflict.” While attention to the impact of war on civilians has been a positive result of this claim, the claim itself is unreliable and has been repeatedly challenged. It should be no shock that more combatants may have been killed during the Syrian conflict so far. 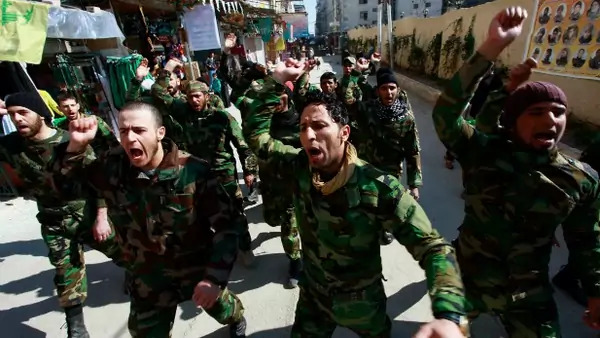 Second, foreign combatants—including fighters from Islamic State in Iraq and the Levant, and western fighters, among others—were counted separately for the first time in the April 2014 estimates, and account for almost 7.5 percent of the total, at 11,220 casualties. The increase of foreign fighters, particularly Western, and the radicalization of the Syrian civil war has been of great concern to U.S. policymakers in recent months. Just this past month, Rep. Frank Wolf (R-VA) authored a bill that would restrict Americans traveling to Syria and imprison violators for up to twenty years. Understanding the conflict in Syria will require greater dissection of death toll statistics by analysts and a reevaluation by policymakers and the media of how they portray the conflict. While regime forces are not victims as they remain willingly and actively in combat, the reality of the conflict dynamics should guide U.S. policymakers in how they craft policies to address the conflict and protect civilians from harm.